Diva-rific tall drink of water and classically trained singer/songwriter Sophia Santulli is the founder of Prize, a new electro-rock band with an operatic flair. Years of vocal study enable Santulli to slip easily between soaring coloratura and powerful, full bore, rock and roll. With a backing band of classically trained musicians, including Justin Riberio on guitar and Liujing Liu on keys, Prize’s emotional urgency makes for a thrilling live show, including their recent gig at the Red Devil Lounge in San Francisco. New Zealand and Portland are unlikely bedfellows. Ruban Neilson moved to Oregon with his band the Mint Chicks (a longtime representative of NZ’s music scene; I first heard them long ago on the John Peel show). Started as a side project for Neilson to explore “a new musical dimension”, the group has gained momentum, and this wave is taking them around the world. 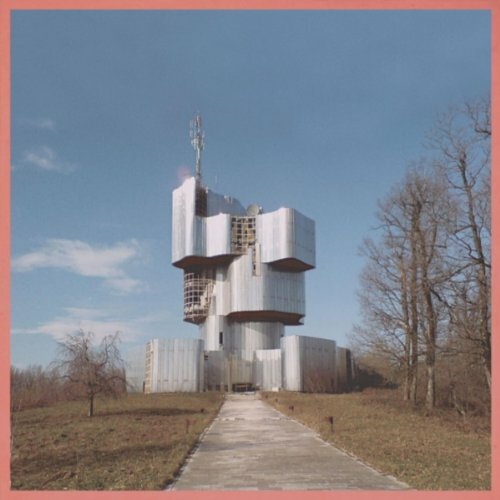 I’ve extolled the virtues of the humble EP in a previous post, and Unknown Mortal Orchestra’s newest is no exception. “How Can U Luv Me” is a standalone great; expect it to heavily feature in remixes. “Nerve Damage” treads the line between rock and electronica, and does it so well you struggle to put it into a group. “Thought Ballune” is cool, sunny, simple. Their flagship single, the one that started Unknown Mortal Orchestra’s rise, is “Ffunny Ffrends”, and it’s the closer on the self-titled EP. Sweet and evocative of the Go! Team, you can really see why they’ve done so well in only one year since their inception. Currently on tour, touting their debut album, you can check out their website to see if they’re playing near you. West Coast, they’ll be playing the Biltmore Cabaret on July 23rd, one of my favourite venues to catch an act in Vancouver. Ach. What to say about Wu-Lyf that hasn’t been said. Well a lot apparently since they are a rather reclusive foursome from England. Perhaps they are so into making excellent, soul-searing music that they don’t really recognize the outside world…wait, that’s not it. 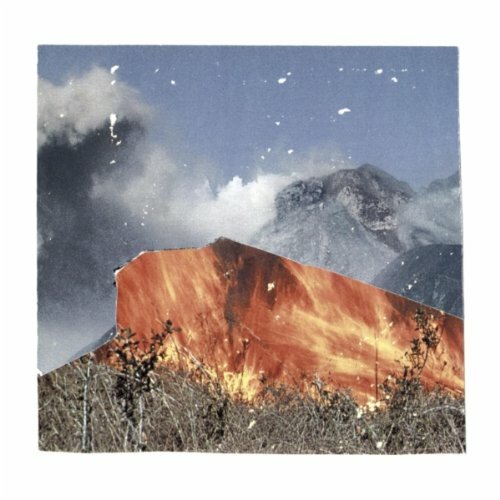 One listen-through to this release and I’m thinking its more of a gimmick to turn attention away from what they are trying to pass off as worldly, mysterious, Important music. Their newly-released album “Go Tell Fire OnThe Mountain” contains no fire at all and nothing to actually go tell anyone. I understand artists not wanting to give into commercialism, or to be free to express their own vision, but as I understand those concepts, there has to be some actual ability to demonstrate a talent that the masses, however large or small they may be, want. LYF starts the album. Hm. Life? Is that what it’s supposed to be about? I was so distracted by the discordance of the arrangement after a very hopeful organ intro, that I almost welcomed Ellery Roberts’ vocals. Almost. I kept waiting for the whole thing to gel and get going, but…no. Okay. So maybe this wasn’t the best way to introduce their first album, but there would be better cuts, yes? Cave Song and Such A Sad Puppy Dog wander around, seeking a melody, some meaningful interludes, a decent percussion track, anything. Instead, these songs and most of the remaining tracks are a free-for-all of sounds, and not everyone seems to be on the same page or even playing the same song. As Roberts’ is the only vocalist I can discern, I’m going to recommend that he either rehab his voice (it is neither pleasingly gravelly or smoky dark…if that is what he is going for) or perhaps let someone else stand in for a song or two. It’s just not listenable. Ethereal background moanings introduce Crowns For Me & Your Friends a la Doves, but the reverb on the too-earnest vocals and huge mish-mosh of sound is annoying and makes the lyrics hard to understand. I mean, good lyrics in a so-so musical background can get you through a lot, but a listener doesn’t even get to make that judgment here. The last track Heavy Pop, opens with a couple repeated chords on a piano and finally Roberts brings in more earnest vocals. The song doesn’t seem that different than the openers, certainly not in a positive way and I was glad when it was over. If I had to pick one song that I didn’t like less than the rest, it would be Concrete Gold, with the caveat that it, too, devolves into a gooey mess at the end. Other reviews of this band churn about the fact that they are ascetic and, perhaps politely, that their biggest selling point is that they have the ability to maintain mystique. Easy to do when they don’t have the musical talent to generate buzz – or sales. Oh, I forgot…they are artistes and don’t want to be mainstream. We are safe. Would I be sparking much controversy if I said that electronica is today what grunge was in the early to mid-nineties? Am I losing readers with that statement? It seems pretty obvious it arrived on the indie scene with LCD Soundsystem’s debut a few years ago and was made globally popular by MGMT’s Oracular Spectacular. Ever since the words “Control yourself, take only what you need” were memorized by every person between 16-35 years old, DJs, duos, and solo artists have scored time in the spotlight due to the fact that beat machines and synthesizers are considered really cool again. 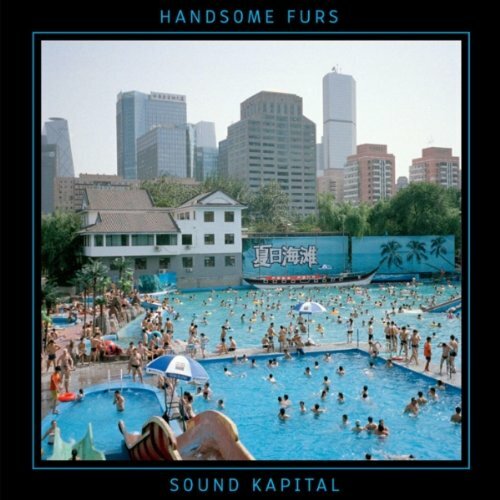 Handsome Furs have joined this movement with their newest record, and for those of you who dig this electronic boom, you’ll love Sound Kapital every bit as much as you loved, well, pretty much every other indie album that’s come out the past two years. For me, though, this wave has gotten boring, just like last decade got boring when an onslaught of minimalist, melodramatic piano ballads hit us after Coldplay’s “Clocks” rose to the top of the charts. Even with biases aside, Sound Kapital is still an underwhelming follow-up to 2009’s Face Control in that it took an easy route to sound different from Wolf Parade. That sophomore LP had a hell of a lot more hooks to it than their debut two years prior, and it seemed like they were getting closer to perfecting the mold of Wolf Parade guitar work with their husband-wife lamentations. However, Sound Kapital instead just sounds like what everyone else is doing right now. “When I Get Back” and “Serve the People” are the only tracks that find their own, igniting a catchy rock edge in the vein of U2’s Achtung Baby. The other seven (particularly “What About Us” and “Repatriated”) could be tracks on any other dance-pop album from the past 18 months, though, which is frustrating because Boeckner is the same guy who helped write Apologies to the Queen Mary, which is proof he’s got the artistic merit to put spin on things. As is with most side projects, Boeckner’s original is better, so my advice is to just crank Wolf Parade. You can’t go wrong with that Canadian quintet, but you can misstep with Sound Kapital. Unless, of course, you love the electronica wave, which then I’d recommend you just crank Passion Pit’s Manners for the fiftieth time. In Vogue Spirit is a soothing ambient journey through the musical minds of Ryan Garbes and Shawn Reed. For just a 2 piece project, Wet Hair certainly offers a very wide variety of sounds for the listener to experience. Formed in 2008, Wet Hair has released a number of records showing off their take on the electronic/new wave influenced sound the band has to offer. At some points though, the wide variety of sounds do become incredibly drab, and the songs start to drag on. The biggest flaw of In Vogue Spirit is it’s inability to keep the listener interested for more than 3 minutes, which poses a huge problem considering many of the songs reach 4, 5 and even 8 minute song lengths. The most horrific example of this is the track Liquid Jesus, which starts off strong, but ends in disaster. The fine line between experimenting and annoying is crossed, and you’re left sitting there listening to car alarms and an incredibly bland voice drone on and on until you have to change the track. Fortunately not all of the tracks are like this, such as Echo Lady, which comes in at the 5 minute length, but still has enough going on to keep the listener interested. And listening. The problems on In Vogue Spirit are problems that can be easily fixed. Some of the songs simply just drone on way too long, and unless I’m skipping over the drone/doom undertones, then this just simply does not fit. The songs that stay under the enormous lengths are usually the best songs on the record. Despite the obvious problems on In Vogue Spirit, it’s still something worth checking out, especially if you’re into the more ambient flavours of the musical spectrum or you’re an avid Sunn O))) fan. But in this case, I would take the 24 minute long Drone/Doom Metal song over mostly anything on this record. The songs that do shine, are very dim. I feel as if Wet Hair would benefit greatly from writing shorter songs and using less “avant-garde” sounds within their repertoire. With their sixth album, The Future Will Destroy You, Viva Voce has created a haunting, mellow record that is sure to please their fans. From the lush, Smashing Pumpkin-esque rhythm guitar on “Analog Woodland Song,” to the jangly strings and gentle “clack” of the rim shots on the road song “Cool Morning Sun,” the album is consistently well put together. The years of experience primary band members Anita and Kevin Robinson have with both their gear and each other has obviously paid off. “We conceived this record – it’s title, songs, cover art, etc.. – back in December of last year. Tsunamis, Libyan wars, devastating weather and all the otherwise awful things had yet to happen. I keep up as best I can with world events, and it strikes me that our new record is proving bizarrely prophetic,” Kevin Robinson writes on the bands website. Not the most recognizable band name in the American indie lexicon, they still have had commercial successes, and a following probably created more by word of mouth than marketing dollars. Viva Voce means “word of mouth” in Latin, and the band is carrying on diligently to spread their sound. They’re songs have appeared on TV shows “One Tree Hill” and “Friday Night Lights,” and they have toured with such popular names as The Shins and Jimmy Eat World. Highpoints on the album include “We Don’t Care,” which has a mesmerizing dual guitar segue. Kevin Robinson’s harmonizing is very subtle and works well with the smoky strength of his wife’s lead vocals. 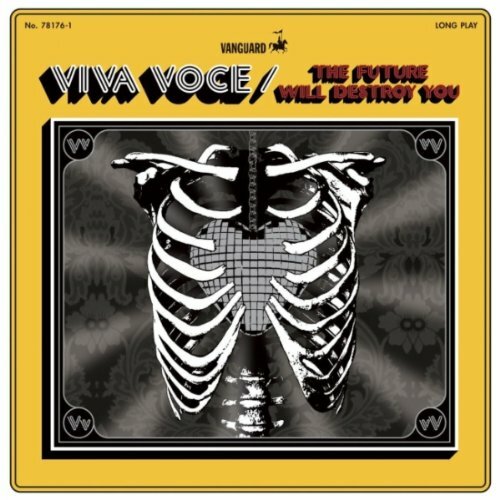 Viva Voce is scheduled to go on an American tour at the end of July, and The Future Will Destroy You has been released on both CD and vinyl by Vanguard Records. 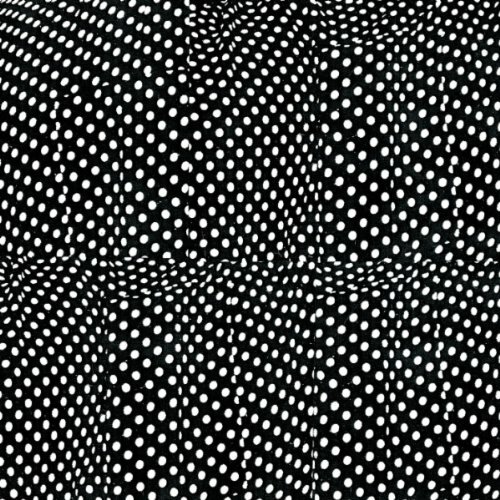 Ok go chooses to change up the routine by recording a completely live album. 180/365, a fitting title as it symbolizes the number of days they performed live in a year, proves to be a great compilation of the band’s work. You not only get the best live version carefully picked from 180 locations, you are also getting the best (albeit, open to interpretation) and most recent version of their songs from their three albums (OK Go, Oh No and Of the Blue Colour of the Sky). In fact, most of the songs off the album were performed in different cities—a clever decision on their part to have the listener get a taste of how the band performs in each city. What could be more beneficial to a band’s success than a live album that provides the full “concert experience”? You get to be in fifteen or so different venues without having to move a muscle. And, if there’s one thing I know, it’s that nothing makes a band more appealing than hearing them live. “This Too Shall Pass” is one of those songs that makes you want to buy the tickets to their next show. The sing-a-long towards the middle of the song gives that added oomph, because let’s be corny for a second, you feel like you are there. What really puts 180/365 on the map, though, is “Skyscrapers”. Performed in New Orleans, you just know how even more perfect it would be if you were actually there, in their presence, listening to the cool jazzy tone of the trumpet and the lead singer’s, Damian Kulash, powerful vocals. 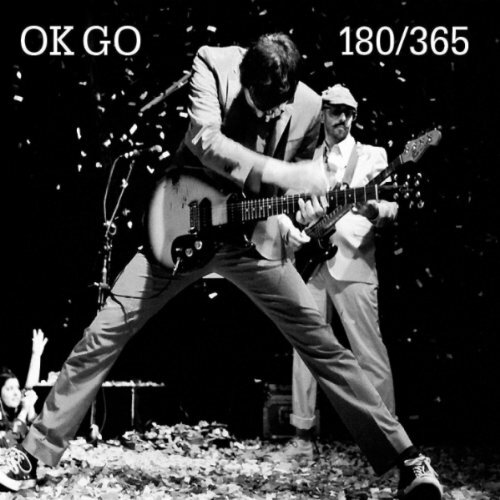 For any fan of Ok Go’s, 180/365 is a fantastic album that emphasizes the band’s talents and abilities to perform stellar live versions of their music. Of course with an album like this, it would make sense if you’ve listened to the band’s past work, so you have a basis of comparison. On the other hand, live albums don’t necessarily need previous evidence of the band’s musical efforts, because when a band performs live everything usually just speaks for itself. Rachel Taylor Brown’s new album, World So Sweet, takes it’s name from a popular Christian children’s prayer and many of her song titles (Intro (Sweetness On Earth), Mercy in Nebraska) echo that Christian influence. Even the name Rachel is biblical. So, there’s nothing about a quick glance at her new album that will prepare you for the kind of music Taylor Brown actually writes or performs, and even more disconcertingly, there’s nothing about a quick listen that will immediately catch you off guard or strike you as contrary to the assumptions you’ve made at first glance. You’ll be impressed by her complexity, sure. Maybe you expected something simpler or consistently melodic, and maybe you didn’t expect her second track, Sister Jean, to rock quite so hard. Go back and listen through the tracks, Taylor Brown is tricky, and if you’re not paying close attention, some of her most incisive songs (How To Make A World Class Gymnast and Didymus The Twin v. The Divine Sparkler) actually sound like hymnals. You’ll discover that she is of that unique breed of pop-rock musician who has something substantial to say. Her sharp insight focuses on society and culture—especially children, and her most successful songs refer to real-life tragedies. Sister Jean, is actually the story of Janette Maples, a 15 year-old Oregon girl who eventually died of abuse and neglect, and Mercy In Nebraska is a cunning criticism of Nebraska’s Safe Haven Law, which disastrously permitted hundreds of parents to abandon their children to the state without consequences. While there are a few less-than mind-blowing moments on this album, for example Big Mouth (a vague song about wanting someone to shut-up), most of World So Sweet will do what pop music generally can’t; make you think. 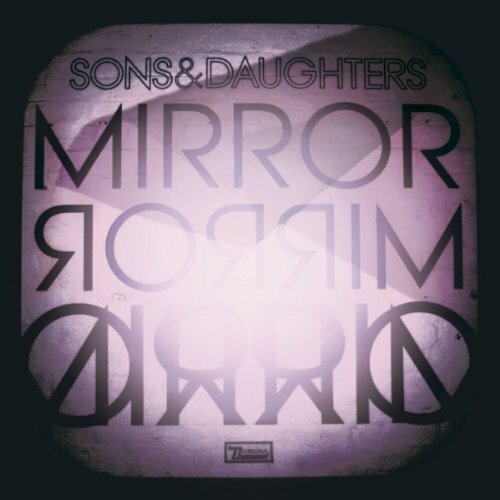 Sons and daughters are at it again with their latest release Mirror, Mirror. The album seems to be the reflection of a group trying to re-establish their credibility with fans. After their last effort was met with mixed reactions, the crew from Glasgow decided to return to a minimalist approach for Mirror, Mirror. The result is a collection of dark, grungy tracks that stand in stark contrast to the more upbeat sounds of “This Gift”. While Mirror, Mirror is unique if nothing else, it seems to lack balance. The yin is missing it’s yang. The album starts off on a dark, ominous tone with “Silver Spell”. This more or less becomes the reoccurring theme throughout. There are no songs of hope or brighter tomorrows here. Only darkness and a feeling of despair (“Axed Actor” revolves around the Black Dahlia murder for crying out loud!). With that much said, here is the main problem: I can’t stop listening to it! There is something hypnotic about Mirror, Mirror. It pulls you in against your will. You sort of feel like a kid at the amusement park who’s hesitant to get on a rollercoaster. The you ride it and have the time of your life. But, what is it that makes the album grow on you? Adele’s haunting vocals? Scott’s defiant guitar riffs? Maybe the way David attacks the snare drum? Who can say. Many are undoubtedly uttering to themselves “about time, damn it” as they gaze upon this announcement with a sense of jovial relief – and about time indeed! Its been quite a journey for New York City’s own Penguin Prison who has flourished into one New York City’s finest and most championed disco-pop melody makers around. Winning the hearts of top bloggers and securing continuous top placements on the hype machine countless times, selling out shows across America and Europe, not to mention a tour with Girl Talk, Jamiroquai and Two Door Cinema Club already, Penguin Prison sets his sights toward a very busy rest-of 2011, inking a recent deal with Downtown Records and a self-titled debut due to drop this Fall. During such a tumultuous time in the music industry, Penguin Prison was in sure fire danger of falling victim to his own success. Success in the sense that fans and music lovers were flocking to shows and downloading tracks by the dozens, however it seemed to start steering interested professionals in the opposite direction as they shied away from the notion that fans actually do flock for quality and what they love regardless of a price tag, and people genuinely do adore Penguin Prison’s music. Thankfully, Downtown Records stepped in, known for championing artists such as Miike Snow, Santigold, Cold War Kids and Duck Sauce. With a defiant approach and a belief in an artist that has been getting the dance floor moving since 2009, it only made sense to invite this pop pioneer to become part of their family. Even if you never find out what a Penguin Prison is, there’s no denying Chris Glover aka Penguin Prison has made a brilliant record. If you’re a fan of New York disco, as accessible as it is angular, all burbling bass lines, resonant rhythms, shimmering synths and heavenly melodies, then you’ll love the new Penguin Prison album. It was inevitable that Chris would then make music of his own, which he began in late 2009. You can hear the spectacular results on the debut Penguin Prison album, which sounds to all intents and purposes like a Greatest Hits collection, so chock-full it is of catchy hooks and classic pop choruses.